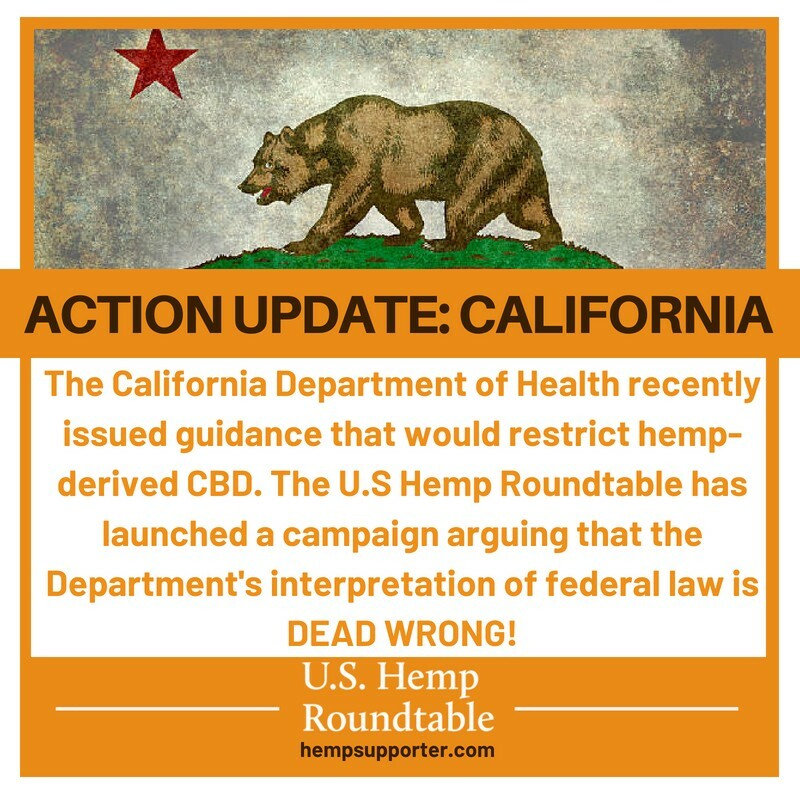 Recently, the California Department of Health issued this public statement about hemp-derived cannabidiol (CBD). In summary, the agency argues that hemp-derived CBD products CANNOT be sold in retail markets in the Golden State. The US Hemp Roundtable refuses to accept this conclusion. Today, we have sent the agency this letter, strongly arguing that the Department’s interpretation of federal law is dead wrong. There’s no way that Congress nor the California General Assembly intended that CBD products that may contain high levels of THC could be readily available, but access to supplement and food products with zero THC that are both safe and non-addictive would be restricted. We will be following up this letter with meaningful action – petitioning state political leaders to interpret the law appropriately, or to pass new laws that clarify that the retail sale of hemp-derived CBD is permissible. We will be enlisting you in these efforts, much in the same way as we have successfully engaged in grassroots lobbying of Congress. Stay tuned for marching orders. But until then, please let us know if you are interested in supporting the efforts.